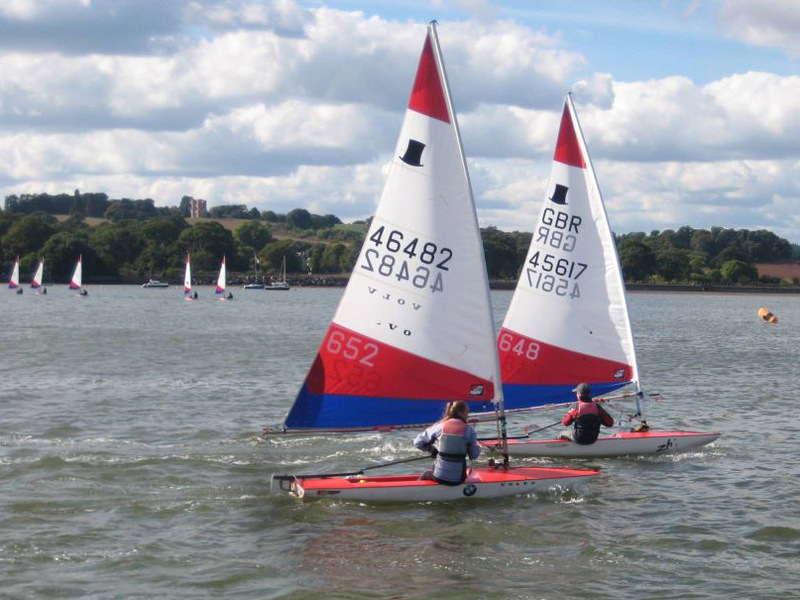 For many years SYC has been running highly successful Junior training on Friday evenings between April and July, helping and coaching the younger members of the club to learn and improve their sailing and racing skills. We have had SYC Juniors sailing at Zone, National and International levels, with great results. All this hard work was rewarded in November 2008, when the club was granted RYA Volvo Champion Club status. Well done to all involved in obtaining this award. The Junior nights wouldn't run as smoothly as they do without the valued help from parents, volunteers, qualified instructors and a handful of the old Juniors coming back to pass on some knowledge. We aim to give Juniors a sound base from which they can become great and successful sailors and, more importantly, enjoy themselves. Last year we had over 100 applications for our Junior nights during the spring and summer months, making the SYC Junior Section one of the largest on the river. 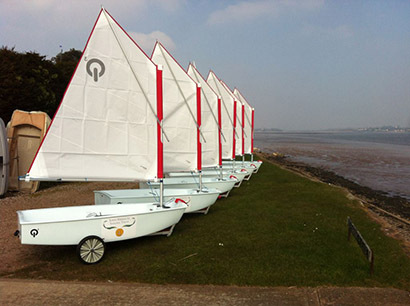 We have a diversity of boats in our Junior Section, ranging from Oppies to Laser 2s. Although we don't demand specific classes of boat, we do encourage Juniors to sail preferred classes. This helps to keep things simple, it makes training more manageable, and the safety of our youngsters is paramount. So most start off in Oppies, or Toppers; we are hoping they will then move into Lasers and double-handers like RS Fevas. Most Juniors are expected to use their own boats, but that isn't realistic for the first year. Thanks to a generous grant, SYC has just expanded its existing beginners' Oppie fleet with six brand-new boats, seen above left watching hungrily for a high tide on which to launch for the first time. Split into groups of 'Beginners', 'Skills' and 'Race', all individuals get the best possible coaching for their ability and experience. Boat handling skills are the lead for all groups, giving each sailor the ability to sail safely on any type of water. We hope as they advance to the 'Race' group they will join in with the main Club racing, but most of all, they have advanced their knowledge and acquired good sailing techniques to carry them on to greater challenges. Many of our ex-Juniors have gone on to many greater things, such as Ellie Poole winning the Topper Nationals, being the only female ever to do this … well done, Ellie! We have also had competitors in the Mirror world championships, and six ex-Juniors going to the Hornet Europeans, with two of them coming home Hornet Youth European Champions. We have a handful of very successful Laser and Topper sailors. 2008 saw two of our past Junior girls represent GBR in the 420 class in Athens. Well done to all. The current Juniors benefit from the competitors' experience as many of these talented sailors then return to help coach on Friday nights. But the Junior nights aren't just about success or getting you somewhere. Junior nights are about having fun, meeting new people, and making new friends doing one of the greatest sports ever invented. 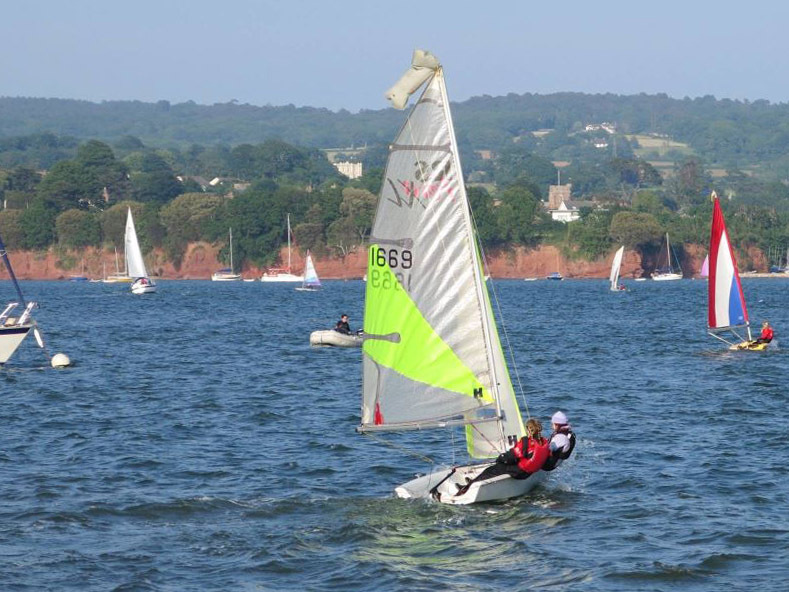 The Juniors at Starcross aren't just around on Friday nights; they play a vital part in the everyday racing and a large part in the social life at SYC. You will see many Juniors at the Annual Dinner and Dance and they seem to be picking up more and more prizes every year. A brilliant event on the Junior calender is the annual Roadford training weekend. This provides a full weekend of sailing, games and general fun for all the family, and has been running with great success for many years now. The Club would like to pay tribute to the many parents who take a leading part in Junior activities. However, Junior Fridays depend for smooth/safe running on the presence on site of one parent of all children taking part. Parents thinking of applying for Junior training for their children are asked to read the Parents' Responsibilities page of the website.